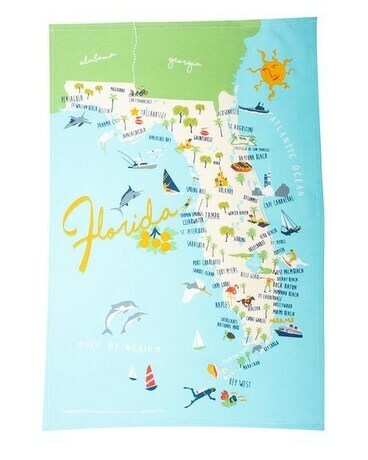 This original whimsical artwork celebrates the beautiful Sunshine State - Florida! From the Panhandle to Sarasota, Naples to the Keys, Miami to Vero, Alligators, Beach Babes, Palm Trees and Oranges. An 18" x 28" perfect kitchen towel. The ultimate Florida gift!